Today’s recipe is so involved, so difficult, so time-consuming you might want to run for the hills right now. This is so easy, you can do it with one eye closed. Because it was way too early in the morning. 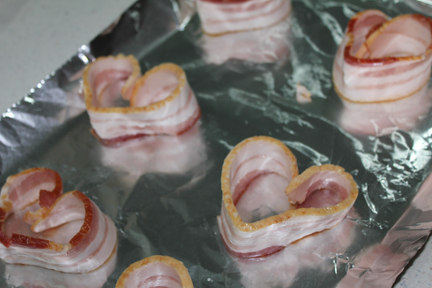 I made these Bacon Hearts for Captain Cavedweller for Valentine’s Day. 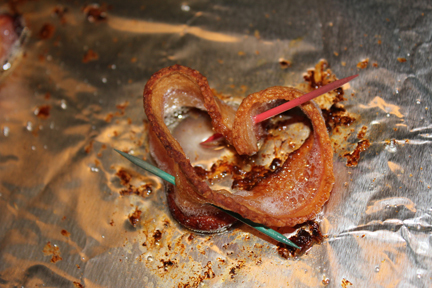 I don’t know if he appreciated them or just the fact he had hot, crispy bacon at 6 a.m. on a workday. Whatever the case, his grunts of approval let me know he liked the bacon at any rate. Start with some bacon. Thick sliced is best. Line a baking sheet with foil. This will keep you from having to scrub bacon grease off the pan when you still aren’t sure you are completely awake. Go ahead and preheat your oven to 425 degrees. 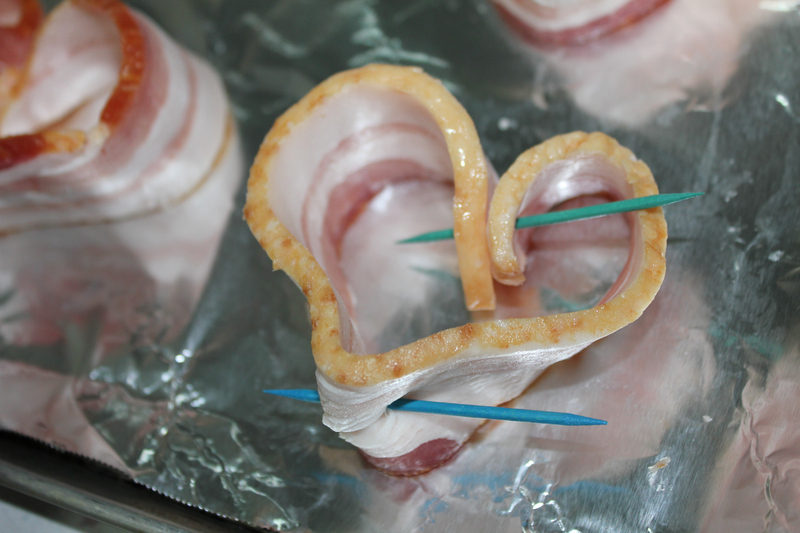 Place bacon on the baking pan so the ends form the top of the heart and squeeze the middle of the bacon together to make the bottom point. Use toothpicks to hold the ends and the bottom point together. 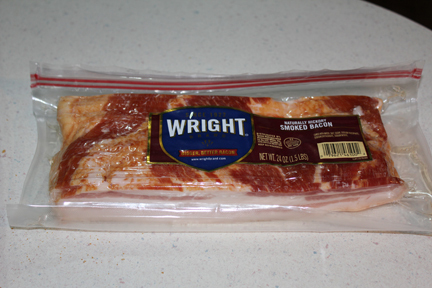 Bake at 425 for 8-12 minutes, depending on how crispy you like your bacon. Remove from oven, take out toothpicks and serve! 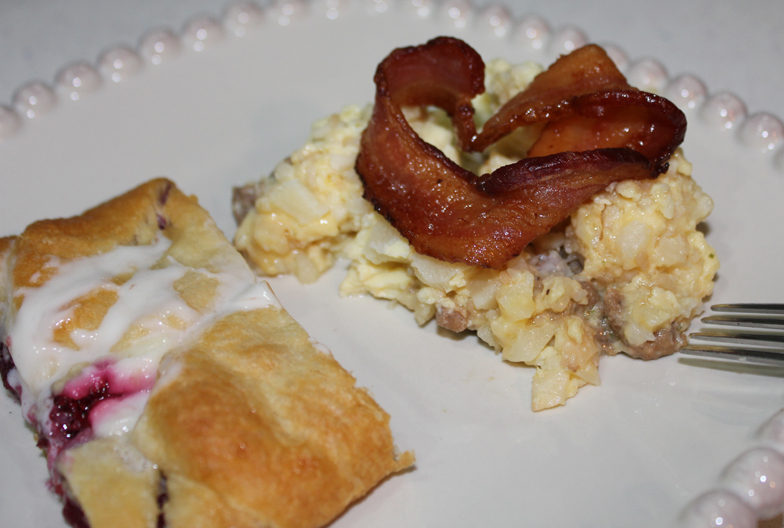 Captain Cavedweller got his heart bacon on top of hash brown casserole with a side of homemade raspberry danish. I may have had some, too.